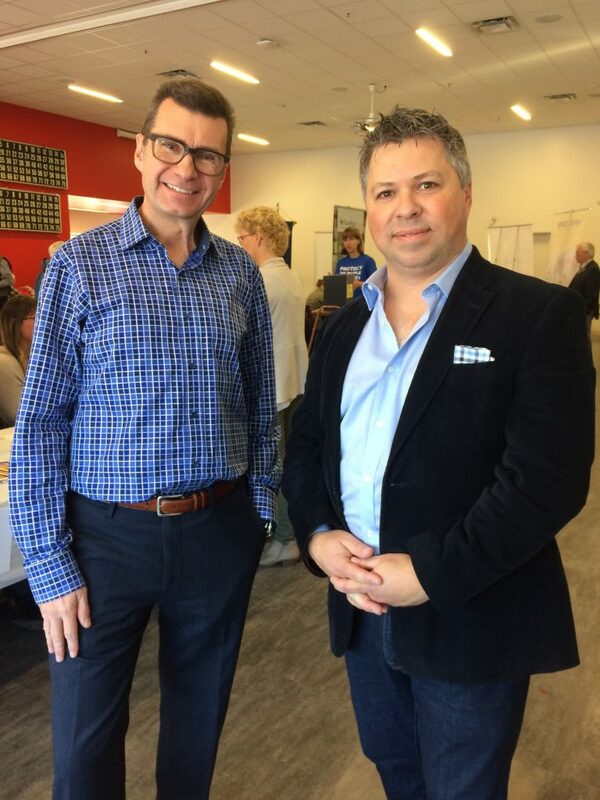 Last Saturday, November 18th, MP Doug Eyolfson hosted a “Spirit of Giving” event at the Sturgeon Heights Community Centre. 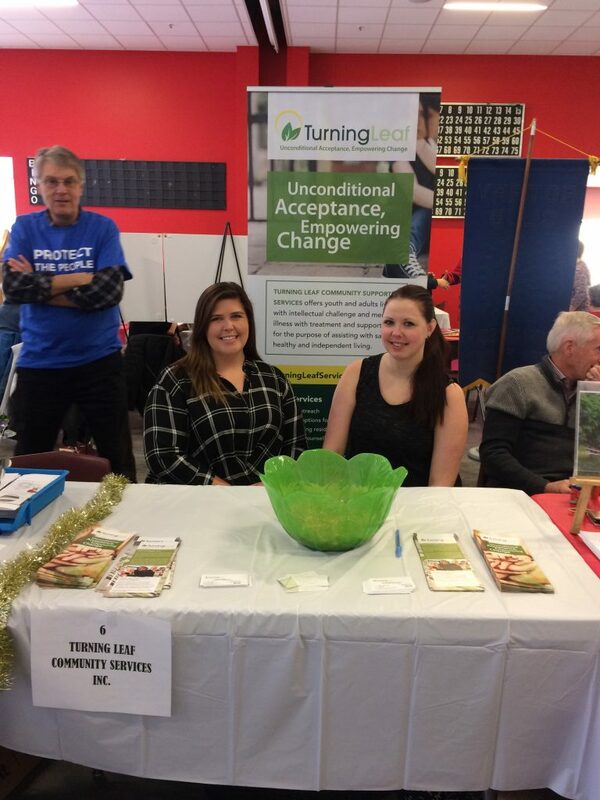 This event was held to showcase the support services Turning Leaf provides to the community. Everyone graciously allowed us to set up our table and hand out our promotional material. It was great getting to know everyone in the community. The event was well catered and even the entertainment, the Breeze Trio, were great. Mr. Eyolfson knew that many of his constituents would be interested in donating their time and resources to Turning Leaf, and we couldn’t have been more grateful. With your help, we can help those who live with mental illness and intellectual challenge; we can give them a choice to change. MP Doug Eyolfson and Barkley Engel, CEO and Founder of Turning Leaf, enjoying the event together. So, again, thanks to everyone who put on and contributed to this event, thanks to everyone who donated whether it was your time or resources, and special thanks to MP Doug Eyolfson, without whom none of this would’ve been possible.